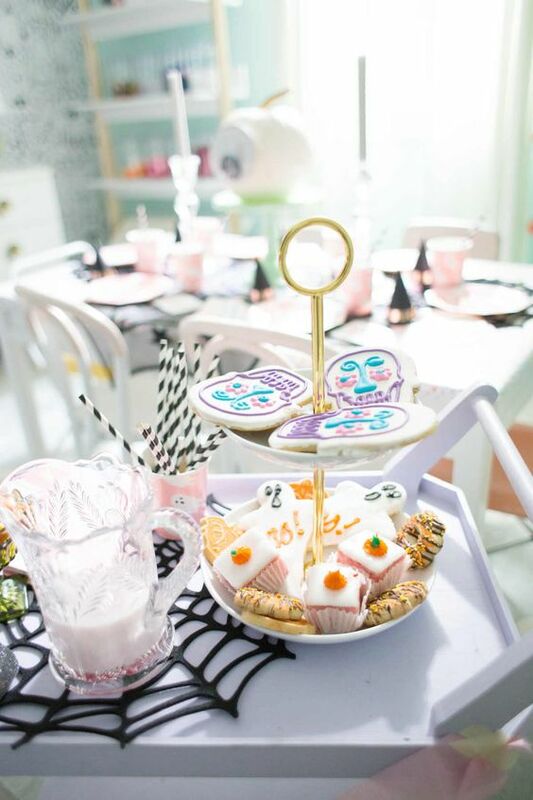 Not every Halloween celebration has to slathered in loads of orange. 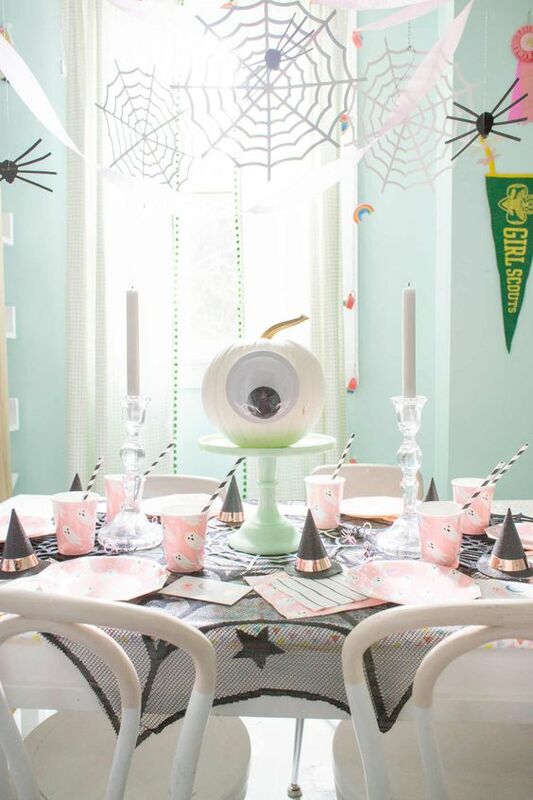 Joni of Lay Baby Lay creates this gorgeous table scape fit for a queen. Accents of pink, mint and black add a fun twist to the holiday. See more photos and find all the sources on Joni’s blog.